Just 3/10 mi to beautiful Town Neck Beach! Open iving area for relaxing. Cozy living area open to the dining area and sliders to the deck. Ready for a snack or quick meal! Wine table...soon to hold some favorite bottles! Coffee bar in the kitchen! New appliances, sink & faucet, granite counter, freshly painted! Upstairs bedroom with 2 Full beds. 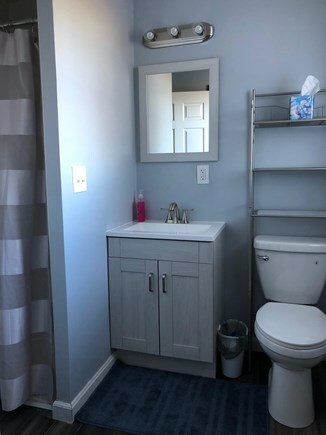 Remodeled upstairs bathroom with tub. Remodeled main floor full bathroom. Front entrance with closet and staircase. Looking forward to a vacation at the Cape? Enjoy all that Town Neck and Sandwich have to offer in our completely renovated 3 bedroom, 2 full bath home. 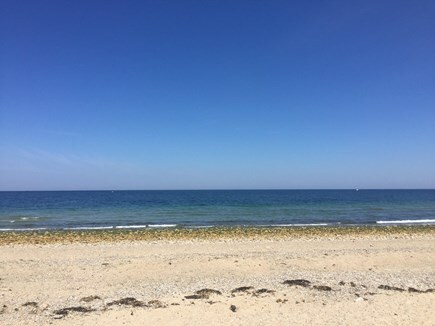 Here you can enjoy Town Neck beach, the Boardwalk, Cape Cod Slush Company, fishing, boating, shopping, and more than a few great meals! Located less than a mile to Sandwich Marina & the Boardwalk, 4/10 mi to Town Neck Beach & only a 1/4 mile to the Cape Cod Canal. This home offers a large back yard, quiet neighborhood, plenty of parking & back deck to enjoy a morning cup of coffee or relax under the beautiful stars at night. The main floor offers 1 large bedroom (Queen bed), full bathroom (walk in shower), laundry area, updated kitchen and dining/living area with sliding doors to the deck. Upstairs offers 2 large bedrooms and a full bathroom (tub). There is a Queen bed & sitting area in one bedroom and 2 Full beds in the other bedroom. 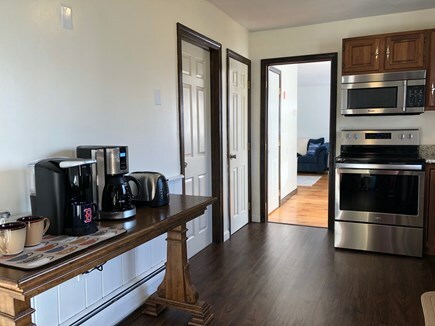 Amenities include an updated kitchen with all new stainless appliances & granite counter, refinished hardwood floors throughout, both bathrooms fully renovated, new ceiling fans in each bedroom and dining room, new beds, new washer & dryer. 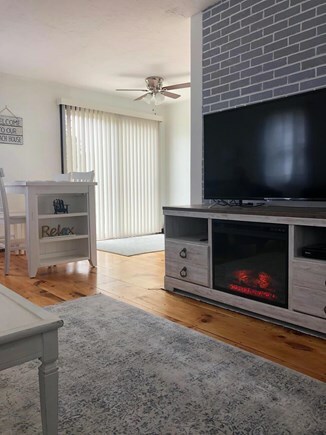 After a fun day at the beach or sightseeing, everyone can relax & enjoy the new 50 inch smart TV in the family room & 32inch TV's (with Roku sticks) in each bedroom. Central air is being installed (early June) to optimize your level of comfort during your stay. Additional availability info: Long term rentals 1 month or more. This is a Saturday to Saturday vacation rental. Additional pricing info: $100 discount for multi-week booking. Security deposit $200, State and local taxes of 12.45% will apply.